Welcome to the hotel zum Buegeleisen which is the German name for flat iron. We welcome you to our website. We are characterized by friendly service, comfortable rooms and an unforgettable ambience. Whether for business trip, a stopover during a bike ride or other reasons for a visit to Duisburg: the Hotel zum Buegeleisen is the right address for relaxing overnight stays. The building was erected in 1906 in Art Nouveau style and has been renovated and expanded in recent years with great attention to details in order to create both comfortable accommodation and to preserve the unique ambience. However you like to spend your night with us, the hotel zum Buegeleisen offers the right choise for everyone. You want to celebrate a birthday or anniversary or need a seminar or meeting room? 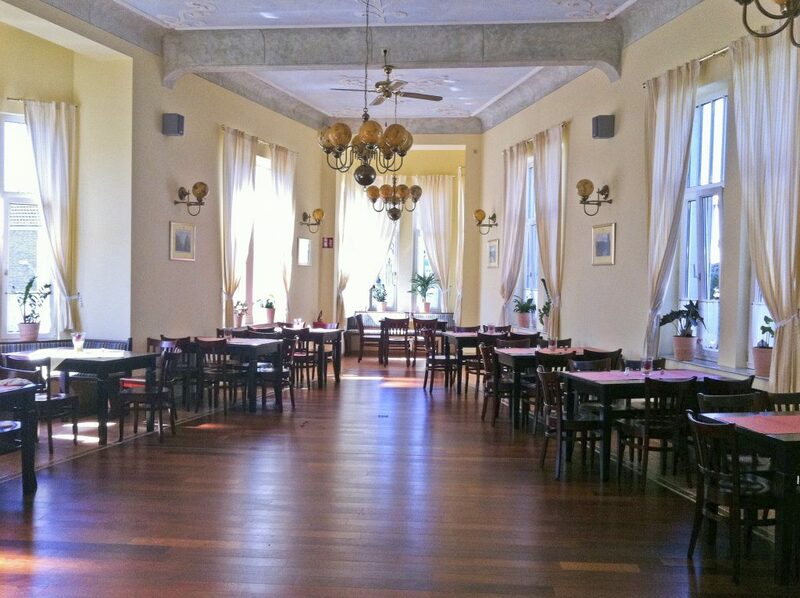 We offer you the right premises for your parties or meetings! According to this motto, we invite you to be our guest and to spend one or more restful nights with us.